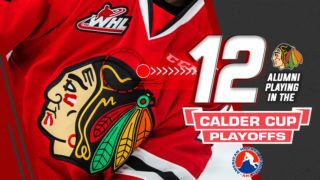 Two Portland Winterhawks made their professional hockey debuts this past week. Cody Glass appeared in his first American Hockey League (AHL) game on April 5th with the Chicago Wolves, AHL affiliates of the Vegas Golden Knights. 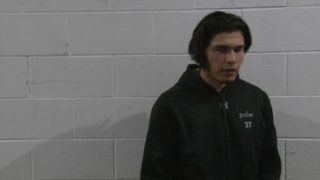 In his debut, the Winterhawks captain scored twice in the third period for the Central Division Champion Chicago Wolves. He will remain with the Wolves for their Calder Cup Playoff run starting next weekend. Glass played in four games thus far for Chicago, scoring twice and taking seven shots on goal during that stretch. Chicago hosts the Manitoba Moose Saturday and Sunday night to conclude the regular season schedule. 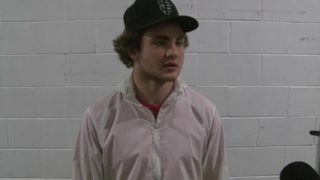 Glass will play against his former Winterhawks linemate Skyler McKenzie (Manitoba) this weekend. 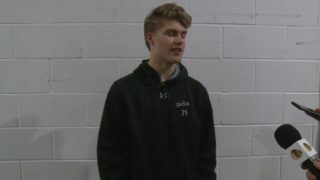 In Texas, 18-year-old goaltender Joel Hofer made his AHL debut on April 12th with the San Antonio Rampage, affiliates of the St. Louis Blues. Hofer stopped 31 of 35 shots in his first professional game. Despite a comeback effort, the Rampage lost 4-3 to the Texas Stars. San Antonio’s season will end tonight in Austin, Texas against the Dallas Stars affiliate. 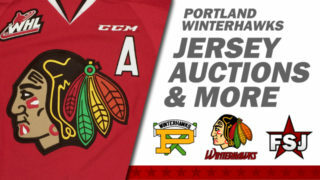 Hofer will return to the Portland Winterhawks next season with two more years of WHL eligibility.